Bringing to you 17-year-old hip-hop sensation... Lil Flow! UK based Nigerian hip hop artist Lil Flow is currently signed to Knighthouse and has debuted his single "Loving About You". 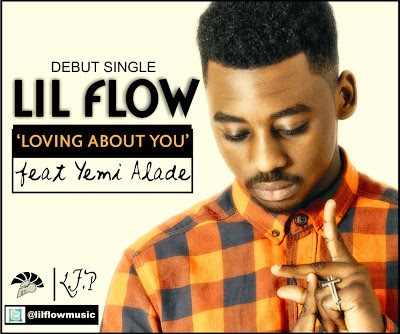 Lil Flow enlists R&B singer Yemi Alade for this DJ Klem produced track, only 17 and Lil Flow has already been getting great feedback for his brand new single. Backed by DJ Klem's trademark lush drum patterns fused in with infectious snyth-heavy keyboard arrangements and, "Loving About You" sees Lil Flow - who recorded this tune when he was just 16 - in flying form with his witty wordplay, catchy flow and lyrical dexterities which he brings to the forefront all over the record. To complete the hat trick of excellence, the amazing Yemi Alade is on hand on the vocals to deliver the exquisite chorus, glorious melodies and those infectious adlibs. Poised to conquer the radio airwaves across the country this Summer, Lil Flow is already being touted as a future leader of the new school of Nigerian urban music that is poised to take over in the coming months and with features and co-signs already coming from M.I, Chase and Yung Six, it's not hard to see why Lil Flow is one name that will be on our lips for a long time to come... Enjoy "Loving About You" below!